Armando Lacerda is on the IT field for over 30 years. Starting with dbase II on CP/M machines Armando has been through major RBDMs engines IBM SQL/DS and Oracle. 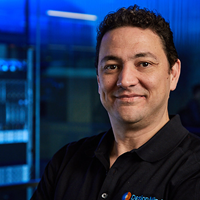 Working with Azure since 2010 Armando has helped business migrate and integrate their solutions to the cloud with focus on data platform and Business Intelligence. Keep doing things the same way because they have always worked in the past is a very comfortable mistake we all make in many areas. That includes backup strategies. In this one hour presentation full of demos I will explore many options available in SQL Server and Azure that can potentially reduce the amount of data and time required for backups and even eliminate the need all together. It sounds scary but it will be really fun. This is a deep dive session full of demos about SQL 2016 stretched databases feature. It will go from pre-reqs and blocking factor through deployment and disaster recovery. Everything you need to know and when to use this new cloud-based exciting capability. Lift and shift is an utopia many IT professionals have about moving on-prem resources to the cloud. The truth is we must understand how the cloud works so we adjust, design accordingly and deliver to expectations. As SQL DBAs we have options. We can choose between IaaS or PaaS, between SQL in a VM or SQL DB, NoSQL options, Azure Data Warehouse some more. In this session we will dive into these options and understand some key points on the platform through some demos.